The winner of the Awesome Foundation DC grant teaches high school students the basics of computer programming through free, extra-curricular, off-campus trainings hosted by community partners. CodeNow, founded by Ryan Seashore, is a DC grown non-profit focused on developing the next pioneers in technology by teaching underrepresented high school students foundational skills in computer programming through free, extra-curricular, off-campus trainings. Weekend Training – CodeNow partners up with other organizations to hold weekend trainings. Each student selected for the program will attend one of these trainings, which includes instruction in Scratch and Lego Mindstorms. Project – Each student will be assigned a project after the weekend training which they must complete to attend the weeklong bootcamp. Bootcamp – Students participate in a 4-5 day training to learn the programming language Ruby. Netbook – Each student who attends the weekend training and bootcamp receives a Netbook. Alumni Network – Once students have completed the bootcamp they become part of the CodeNow Alumni Network. They will receive mentoring, assistance with finding internships, and will be invited to participate in student hackathons throughout the year. Winning it is affirmation from a great group of people that we’re on the right track. 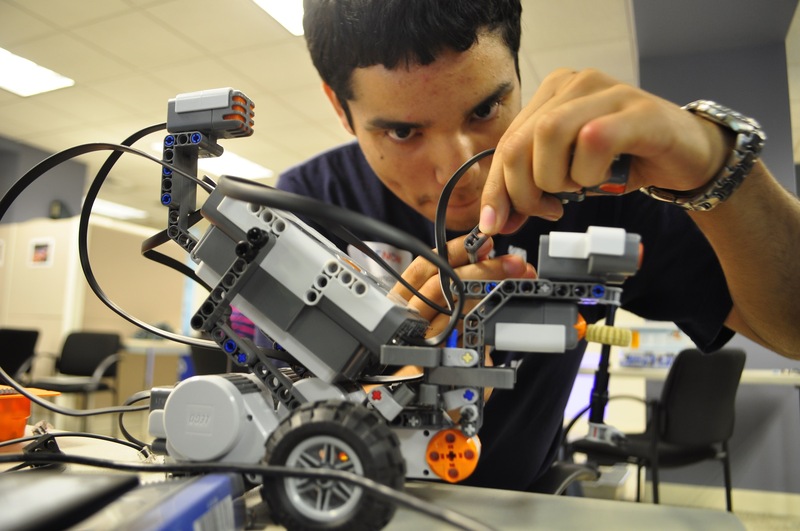 The grant allows us to buy awesome robotic kits made out of Legos which we’ve been in need of! Our goal is to inspire DC youth to be tinkerers and to look under the hood of technology. I really believe we can help inspire the next great tech entrepreneurs. We’re looking for volunteer trainers and mentors to work with our students. You can continue to Support Code Now and help them raise the $14,000 needed to buy Netbooks for their students. Go to http://codenow.eventbrite.com/ and donate now.